We are living in times when the words of the Torah concerning the solitude of the Jewish people " lo, it is a people that shall dwell alone" (Numbers 23:9) ring so true. There are many coalitions throughout the world, from without and within, that are attempting to undermine Israel's security by imposing impossible and ruinous demands that Israel relinquish its G-d-given rights to their own Land. 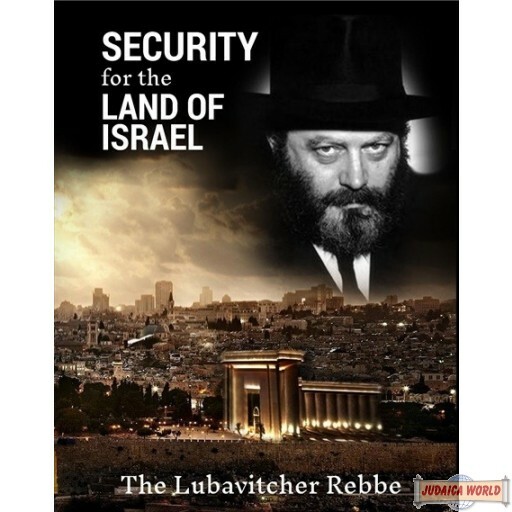 The Rebbe dedicated hundreds of talks, pouring out his heart, pleading and demanding that Israel does not accede to these unreasonable and dangerous demands. 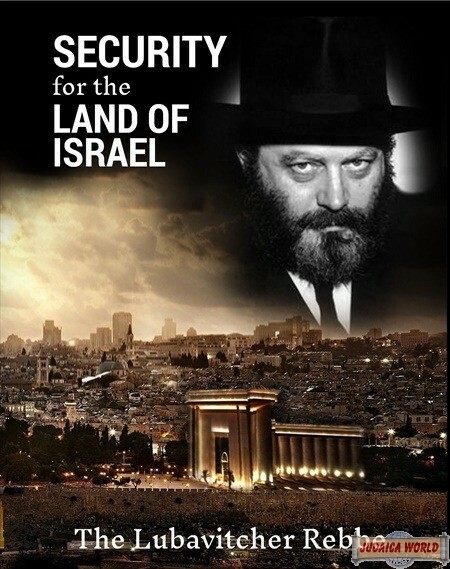 Giving up land, for an illusion of peace, is not only a betrayal of G-d who gave us the land but it will pose the single greatest threat to the security of Israel. Millions of lives are at risk; and even one life is enough to warrant our strongest sense of protest against relinquishing any part of Israel. 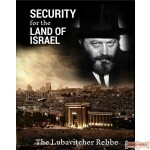 The concern for the security of Israel and the rejection of any compromise in this regard, the Rebbe based on a clear and unequivocal law (Hil. Shabbos sec. 329) that states that a Jewish enclave surrounded by armed enemies must never allow them to occupy any part of Jewish land even if they promise not to attack. The Jewish community is obliged to even wage war to prevent that from happening even if it is the holy day of Shabbos. We owe a debt of gratitude to Rabbi Binyomin Schlanger for collecting and skillfully translating into the English language the Rebbe's cry for sanity in the Holy Land, making the Rebbe's historic and timeless words available to the English-speaking public. 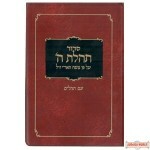 Rabbi Schlanger translates the Rebbe's words spoken originally in Yiddish into readable and accessible English. 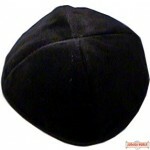 Rabbi Greenberg, Buffalo, NY: "It is incumbent on all who are concerned for the security of Israel and the lives of all its inhabitants, and for all for whom the Rebbe's pleas that stemmed from the depths of his holy heart and soul, strike a responsive chord in their hearts, - to disseminate this work to the widest audience. A Very Important & Timely Book Beautifully Presented With A Selection Of striking Color Photographs.